At Vinya YogaVeda Ashram you will be guided to understand and experience yourself as being one with universal consciousness and leading a balanced life of abundance. Practice of Yoga – includes breathing techniques (Pranayama), physical postures (Asanas) and meditation (Dhyana). Benefits when practiced with intention, include continued improved flexibility, relief from aches and pains, tiredness, lethargy, recovery from illness or injury, grief or loss, reduced levels of stress, anxiety, and help connect more deeply to spirit. Feel free to drop in to any of our yoga classes. We human beings are an extremely complex organism intertwined psychologically, physically and spiritually – mind, body and spirit into the macrocosm of the Universe. The Enlightened Master Paramahamsa Swami Nithyananda describes his Ashrams as “incubators for spiritual enlightenment, a launching pad for higher consciousness. For thousands of years, Ashrams have been a place of learning about spirituality and enlightenment for life in India. Masters and disciples lived together in Ashrams and experienced higher truths as a way of life. It was a space filled with transforming energy where inner world research happened continuously. What we read as Ancient Indian scriptures (Vedas) today are the outcome of the research that happened thousands of years back in such Ashrams. Yoga is said to date back to pre-Vedic ancient India around the 5th and 6th centuries BCE. Yoga is a practice that combines mental, physical and spiritual discipline. Yoga is NOT a religion or cult. Yoga is a path to lead a free self – disciplined life of awareness and consciousness in a healthy truthful way. Book a yoga class to find out what yoga is all about. 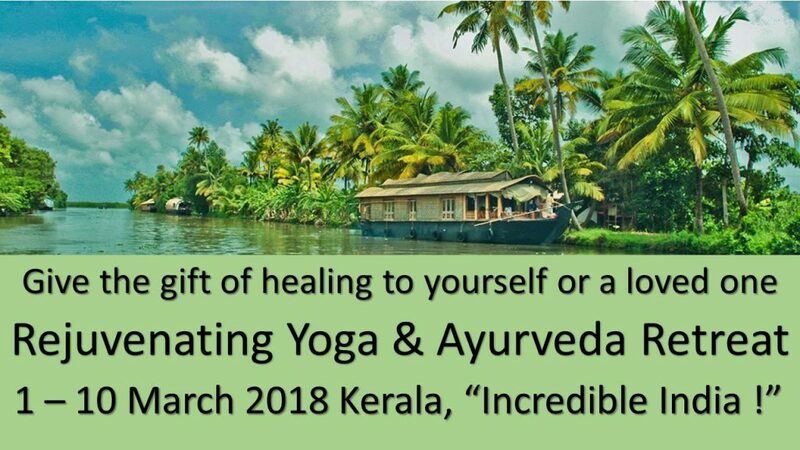 Ayurveda is the oldest holistic system of medicine known to mankind and is a non-symptomatic treatment system which emphasizes a balanced way of living by harmonizing an individual’s body and mind. Ayurveda is also a medicine and treatment system that provides holistic cures to some of our everyday simple and complex ailments. Yoga when combined with Ayurvedic nutrition and treatments suited to one’s individual body type and an understanding of how to nurture yourself, brings the whole mind, body and spirit to a state of emotional, physical and spiritual wellbeing and awareness. 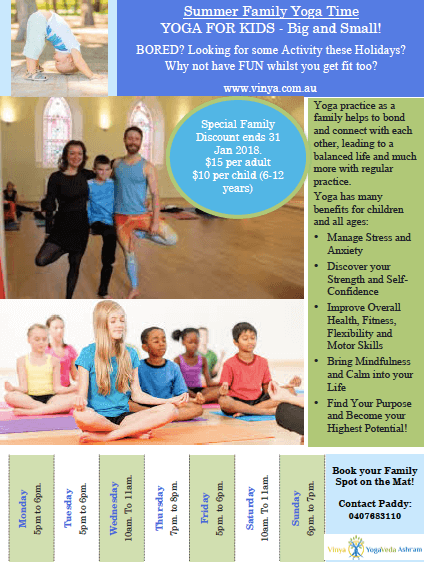 Get in touch with Vinya to know more about Yoga classes and meditation sessions. We have customised yoga classes to suit every requirement. 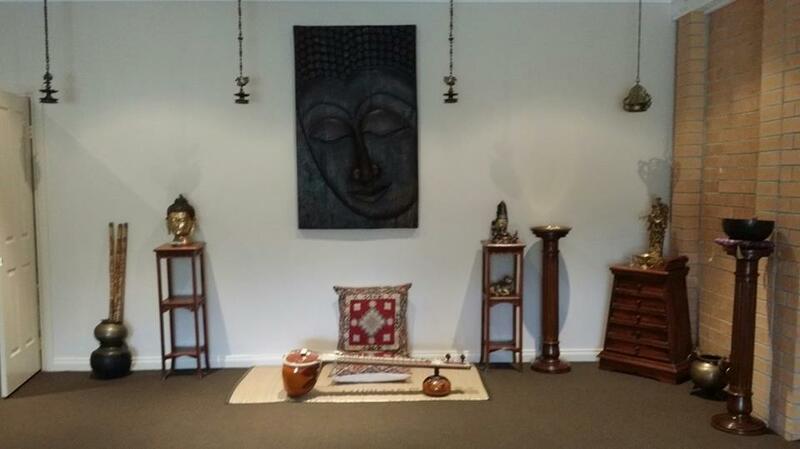 If you are a beginner or are looking for one on one yoga classes, you will find our yoga teacher and our yoga studios very welcoming. Walk in and try out one of our yoga classes. Click to Download Retreat Brochure. Send us a mail with your questions to vinyayogaveda@gmail.com and we will get back to you at the earliest.